The check pilot reported that he was administering an annual standardization check ride in the public use helicopter. The last maneuver evaluated was a hydraulic failure that would terminate by accomplishing a simulated run-on landing. The maneuver was initiated when the check/evaluated pilot established an out of ground effect (OGE) hover on the downwind leg of the pattern. The check-pilot engaged the hydraulic test button on the center console to "simulate a hydraulic failure." The evaluated pilot lowered the nose and established forward airspeed to maintain aircraft controllability. He maintained stabilized forward flight on the downwind leg, and the check-pilot disengage the hydraulic test button. 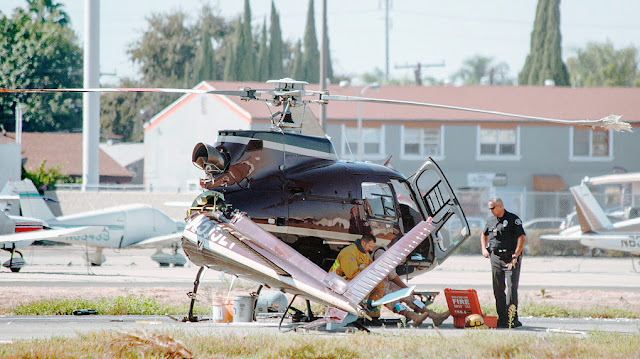 The check pilot moved the hydraulic cut off switch to the off position, and the hydraulic system was disengaged. The evaluated pilot remained on the controls and established a shallow approach until about 3ft above the runway. 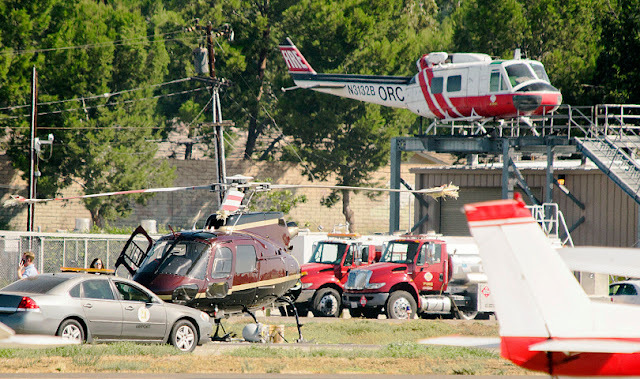 Over the runway, the evaluated pilot allowed the helicopter's airspeed to decrease, and the check-pilot stated, "Keep the speed up." The evaluated pilot responded by lowering the nose, however, an uncontrollable rapid left yaw ensued. 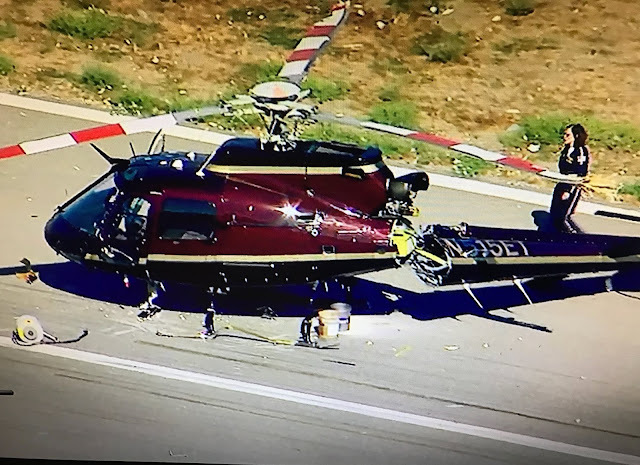 The check-pilot took control of the helicopter and attempted to keep the helicopter over the runway, but the nose pitched down, and the main rotor blades struck the ground. 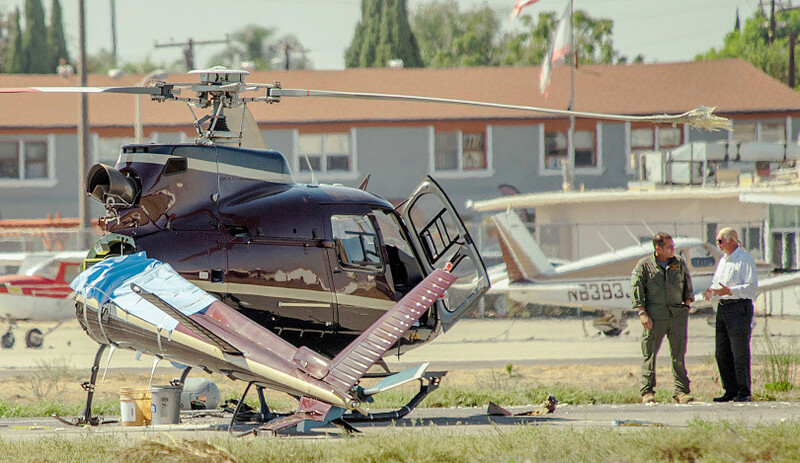 The check pilot decreased the fuel control and the helicopter settled upright on the runway. The helicopter sustained substantial damage to the windscreen above the cabin, the tailboom and tail rotor drive system. The METAR at the accident airport during the time of the accident reported that the wind from 250° at 3kts, the skies were clear, and the temperature was 72°F. In case of loss of hydraulic pressure, the recommended safety speed range is from 40 to 60 kt. DO NOT ATTEMPT TO CARRY OUT HOVER FLIGHT OR ANY LOW SPEED MANEUVER WITHOUT HYDRAULIC PRESSURE ASSISTANCE. THE INTENSITY AND DIRECTION OF THE CONTROL FEEDBACK FORCES WILL CHANGE RAPIDLY. THIS WILL RESULT IN EXCESSIVE PILOT WORKLOAD, POOR AIRCRAFT CONTROL, AND POSSIBLE LOSS OF CONTROL. There were no mechanical malfunctions or anomalies that were identified as a result of this investigation.